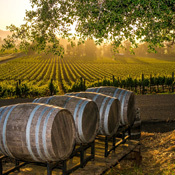 In the 1970s, stockbrokers, lawyers, and the like (in essence, people with money) in California started buying Napa and Sonoma real estate, and virtually overnight, new wineries popped up all over the place. That was the beginning of what eventually spread to Oregon, Washington state, and beyond. Acreage available in many places is now limited, and if you ran across a piece of prime vineyard land in Napa today, the price tag is somewhere in the $300,000 an acre range. Ouch! 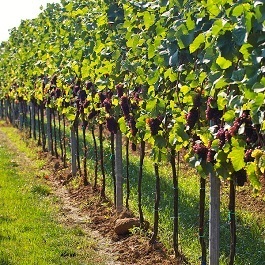 One local expert states, “Napa Valley will see vineyards sell for $1 million per acre in the next 30 years.” Another source goes on to say, “To put that in perspective, that’s what France’s Burgundy Grand Cru vineyards sell for now.” The one common thread here is scarcity. You don’t manufacture more land. And you wonder why that Cabernet you’re drinking is $75 a bottle! Back to that 8,000 U.S. wineries count. That means lots of wine and lots of labels. Even celebrities have gotten into the business: Dan Aykroyd, Greg Norman, and Fergie, among others are on retail shelves everywhere with the decent stuff starting at $12 to $15 a bottle and up. You might make a note that the new kid on the block is the RMEF edition Rutting Ridge Cabernet Sauvignon. It won’t burn a hole in your wallet and holds its own against Cabernets costing twice as much. You can buy it on this website and have it shipped directly to your doorstep. And $3 for every bottle sold goes back to the Rocky Mountain Elk Foundation for ongoing habitat conservation!